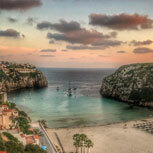 Howellsail provides Instructor services to some of the leading RYA Sea Schools in the UK and Mediterranean. Director Richard Howell has personally provided instruction and conducted Yachtmaster Examinations at RYA recognised Sea Schools based in Portsmouth Harbour and the Solent, Wales, Gibraltar, Menorca, Croatia, Tenerife and Gran Canaria. Suggested Minimum Pre-Course Experience: RYA Day Skipper Theory online or shorebased course and RYA Day Skipper Practical. 15 days sea time (2 days as skipper), 300 miles, 8 night hours. 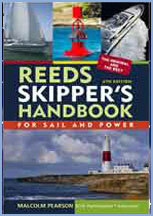 Assumed knowledge: Navigation to Coastal Skipper Shorebased standard. Sailing to Day Skipper Practical standard. 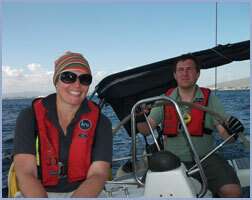 Ability after the Course: Able to skipper a yacht on coastal passages by day & night. Passage Planning – Can plan a coastal passage including consideration of the capability of the yacht, navigation, victualling, weather, ports of refuge, tidal heights and tidal streams, publications required and strategy. Knows Customs procedures. 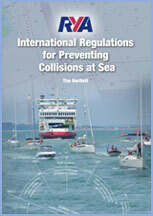 Preparation for sea – Is aware of safety equipment required for offshore passages. Can prepare a yacht for sea including stowage, safety briefing, watch keeping, delegating responsibilities and equipment and engine checks. Pilotage – Can prepare a pilotage plan, with consideration of soundings, transits, clearing bearings, buoyage, port or harbour regulations and tidal considerations. Can pilot a yacht by day and night. 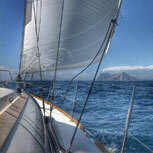 Passage making and ability as skipper – Can take charge of a yacht and direct the crew. 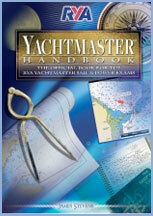 Can organise the navigation, deckwork and domestic duties of a yacht on passage. Is aware of the significance of meteorological trends. Is aware of crew welfare on passage. Can use electronic navigation equipment for planning and undertaking a passage, including the use of waypoints and routes. Yacht handling under power – Can control the yacht effectively in a confined space under power. 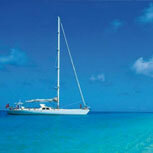 All berthing and unberthing situations in various conditions of wind and tide. 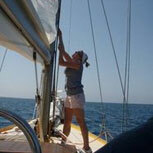 Yacht handling under sail – Can use the sails to control the yacht in a confined space. Anchoring and mooring in various conditions of wind and tide. Can sail efficiently on all points of sailing, including downwind techniques. 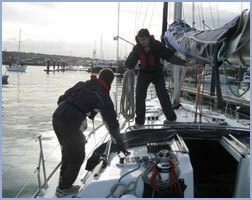 Adverse weather conditions – Preparation for heavy weather and yacht handling in strong winds. Navigation and general conduct in restricted visibility. Emergency situations – Recovery of man overboard under power and sail. Understands actions to be taken when abandoning to the liferaft and during helicopter and lifeboat rescues. 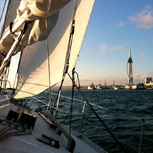 Our flexible approach of working in conjunction with boat owners & associate sailing schools, means that Howellsail have previously & can deliver cost-effective tailor-made RYA Coastal Skipper Practical courses anywhere in the world. Please contact us we will be very happy to discuss your needs. Crossed the Channel twice and saw the beautiful Channel Islands. Had a brilliant time and learnt a lot. Congratulations on your very didactic online course. Would it be possible to continue with another six months for the Coastal Theory?" The RYA Yachtmaster Handbook is the first official & definitive guide for anyone preparing for the world-renowned RYA Yachtmaster Offshore & Coastal examinations. It will not only appeal to both leisure sailors & motor cruisers; there is a section covering commercial endorsement requirements for those who wish to use their qualification professionally. It describes what you can expect on the day of the examination, the thinking behind the test & what the examiner is looking for. 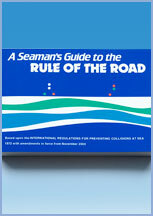 Seaman’s Guide to The Rule of the Road An extremely useful visual aid. This easy-to-read guide provides clear & simple questions & answers to a complex subject.